Facet Engineering is a Western Australian owned and operated engineering firm that specialises in Precision CNC Machining Services. We service the needs of many Western Australian industries, such as the engineering, mining, and trade sectors. Our machining centre is located north of Perth in the industrial heart of Malaga. Our workshop is equipped with advanced machinery; including state-of-the-art CNC lathes fitted with bar feeders, for high volume work and streamlined operations. We can handle production volumes of all sizes. Our machinists are fully trained and highly skilled with many years of industry experience. They perform all work to the highest standard and are committed to delivering every job on time. To ensure every job is completed on time, we ensure our machines are regularly serviced with full machine inspections. Routine maintenance and parts replacements are carried out promptly to ensure maximum uptime. 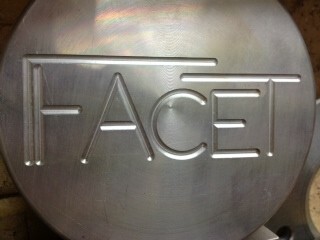 At Facet Engineering, we are proud to offer our clients good old-fashioned service. We quote most jobs on the same day, provide quick turnaround times, and deliver on time all the time. For further information or to arrange a free quote, phone (08) 9209 3911.